Long formal dress with gilet. 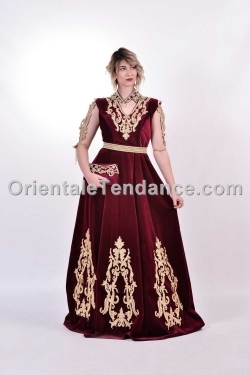 Gorgeous Algerian dress in black. The bodice and hem are adorned with hand-stitched embroidery.